Amid the shrinking dollar inflows, Pakistan will have to cough up over $5 billion up to June this year in shape of repayments as principal and mark-up on foreign loans and international bonds, making it harder for the PTI-led government to avoid balance of payments crisis, The News has learnt. In another relevant development, China has linked its upcoming deposits of $2.5 billion with Shanghai Interbank Offered Rates (SHIBOR), which simply means that Islamabad will have to bear higher markup at least in the range of 6 to 7 percent per annum for getting this protected facility. The modalities for another $2.5 billion deposits have not yet firmed up as it requires more spadework to finalise this package within the current fiscal year, one top official told The News. Just on pattern of LIBOR (London Interbank Offered Rates), China is offering to accept upcoming deposits in the range of $2.5 billion under the SHIBOR. SHIBOR is a daily reference rate based on the interest rates at which banks offer to lend unsecured funds to other banks in the Shanghai wholesale (or interbank) money market. There are eight Shibor rates, with maturities ranging from overnight to a year. The deposit facility is expected to be provided into Yaun and after adjusting it into dollar the markup will be standing at almost double the rate than provided by Saudi Arabia and the UAE recently to Pakistan. “Pakistan will have to repay over $5 billion in the remaining five months (Feb-June) period of the current fiscal and pressure on external account will start mounting in the last quarter (April-June) period when the repayment on account of all obligations will be more than $1 billion on each month basis,” the official data available worked out by the economic ministries and available with The News disclosed. One top official of the Finance Division claimed that the commercial loan re-financing deal was done to the tune of $500 million to $1 billion so the loan repayment amount would be reduced than the shown amount of $5 billion. In the second half (Jan-June) period of the current fiscal, the official data shows that the total repayment including principal and markup stands at $661 million for January 2019, $160 million for February, over $500 million in March 2019, $1,340 million in April 2019, $1,750 million in May 2018 and over $1,000 million in June 2019. One senior official at SBP told this correspondent that the foreign currency reserves held by the State Bank of Pakistan (SBP) stood at $8.19 billion on February 1, 2019 after receiving $3 billion from Saudi Arabia and $1 billion from the UAE out of total $3 billion commitment. Despite getting total $6 billion deposits from friendly countries since July 2018, the foreign currency reserves held by the SBP stood at just $8.19 billion. 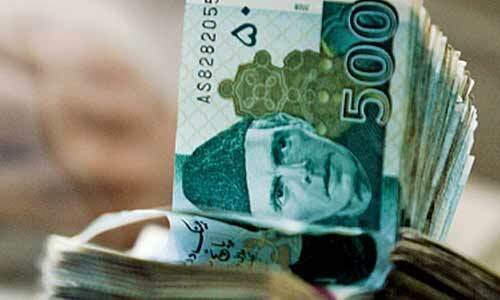 Keeping in view due repayments of over $5 billion on foreign loans and bonds in five months period, the foreign currency reserves are not sufficient for meeting the obligation, so a liquidity crunch is going to hamper stability on external front. “How long we will continue relying upon our friends as the situation is becoming alarming which may accelerate the pace after few months period,” former finance minister and renowned economist Dr Hafiz A Pasha said. He said that Pakistan would have to repay $1 billion on account of international bond in April 2019 so the pressure might start mounting on external fronts in the months ahead. Pakistan had launched $2 billion bond on April 9, 2014 out of which $1 billion was generated on five-year note at a yield of 7.25 percent and another $1 billion for a period of 10 years at the rate of 8.25 percent. Now the maturity of five years bond of $1 billion would become due in coming April 2019. On the other hand, the project financing from the multilateral and bilateral creditors also shrank in the first six months of the current fiscal year as the country received just $2.3 billion in July-Dec period of 2018-19 against $5.89 billion in the same period of the last financial year. One senior official told The News that the total foreign financing projected in the budget documents would be materialised as they intended to gear up efforts with all executing agencies to remove all bottlenecks in order to streamline disbursements in the remaining five months of the current fiscal year. On the other hand, the government envisages placing mechanism to arrange foreign financing and there is nothing to worry about it. The Finance Ministry’s strategy paper states the government is trying to arrange additional financing to cover the financing gap in the immediate-run, and increase foreign exchange reserves to a level which is consistent with a sustainable balance of payments framework. In this regard, it has taken several decisions which will be put into implementation in next few months. In the first phase, a scripless instrument known as the Pakistan Banao Certificates has already been issued, which are expected to bring in substantial resources from non-resident Pakistanis across the world. In the second phase, listed bonds that can be traded in the secondary market will be issued for the Pakistani diaspora. The government claims to generate over $1 billion with the help of this initiative. Foreign currency Sukuk will be issued to capitalise on the rapidly growing potential for Shariah-compliant instruments. Sukuk are expected to gain substantive response from the Shariah-complaint banking and non-banking financial institutions. Issuance of Euro bonds is also expected to gain a good response from investors as in the case of previous bond issues. This response will further strengthen as Pakistan’s economy stabilises. Pakistan has shown a good ability to obtain credit facilities from international commercial banks at very reasonable rates. As the economy stabilises, the potential to raise resources from commercial banks will further expand. Arrangements for foreign currency deposits for balance of payments support have been arranged through friendly countries, including China, Saudi Arabia and the UAE. While these deposits are for a term of one to three years, they are expected to be rolled over depending on Pakistan’s requirements.